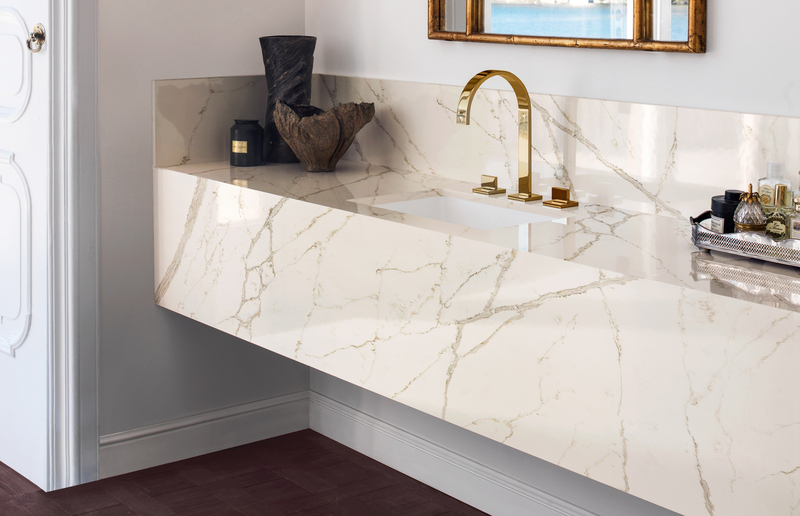 A Corian® Quartz vanity top seamlessly integrated with a Corian® Solid Surfaces sink is a valuable addition to your bathroom design, capable of meeting the demands of your imagination. Whatever your vision for a bathroom project, Corian® Solid Surfaces sinks integrated with Corian® Quartz vanities and other features are easy to include in your plans — our sink solutions can give you the size, shape, style or color you desire. One of the main advantages of having a Corian® Solid Surfaces sink is the ability to create an entire, continuous surface incorporating your Corian® Quartz surface. Seamless undermounting techniques eliminate rims that trap dirt and water, minimizing cleaning and maintenance. With the combination of Corian® Solid Surfaces sinks and Corian® Quartz vanity tops, you can count on the highest levels of longevity in performance, versatility and easy maintenance. All of our surfaces are simple to clean and can last as long as the life of the bathroom and beyond. Furthermore, both Corian® Solid Surfaces and Corian® Quartz are nonporous and, with proper cleaning, will not harbor the growth of mold or mildew. Realize your inspiration for bathroom designs with our combination of Corian® Quartz tops and Corian® Solid Surfaces sinks.